The Academy of Country Music has announced the partners, activities and special events taking place during the 2nd Annual ACM Party for a Cause Festival, a two-day outdoor music festival headlined by Rascal Flatts and Keith Urban on Friday, April 4 and Saturday, April 5. The festival will be the first-ever special event held at the The LINQ in Las Vegas and will transform into a country music fan’s paradise featuring multiple stages for ongoing LIVE country music performances, interactive games, a country marketplace, and more including the ACM & Cabela’s Great Outdoors Archery Event, ACM Expo Marketplace presented by Roper, Coors Light Beer Garden, Diet Dr Pepper Red Carpet Experience, Firestone’s Destination Country Tour, RAM Ride and Drive and many more. The 2nd Annual ACM Party for a Cause Festival is part of The Week Vegas Goes Country leading up to the 49th Academy of Country Music Awards on Sunday, April 6, 2014 at 8:00 PM live ET/delayed PT on the CBS Television Network. 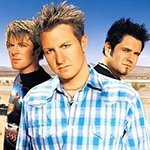 Two-day passes for the ACM Party for a Cause® Festival headlined by Rascal Flatts on Friday and Keith Urban on Saturday are available for $65 and one-day tickets are available for $45 at www.ticketmaster.com. Other performers include Danielle Bradbery, Justin Moore, Cassadee Pope, Thomas Rhett, Florida Georgia Line and The Cadillac Three plus Will Hoge, Chase Rice and Charlie Worsham on Friday night and Lee Brice, Brett Eldredge, Tyler Farr, Kip Moore, Joe Nichols, Jerrod Niemann, Chris Young, Love and Theft and Parmalee plus Joel Crouse, Jon Pardi, Leah Turner, Austin Webb, Dan + Shay, and Max Impact, the premier rock band of the United States Air Force, on Saturday night. A free open-to-the-public concert event, ACM Week Kick Off Party with 95.5 The Bull, will officially kick off the Week Vegas Goes Country on Thursday, April 3, 2014 at The LINQ and serve as a preview to the 2nd Annual ACM Party for a Cause Festival. 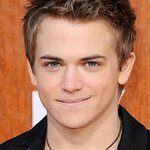 The event will be headlined by Hunter Hayes and feature performances by David Nail, Cole Swindell and Sasha McVeigh. For more information, visit www.ACMcountry.com or www.ACMAwards.com. The event benefits ACM Lifting Lives.